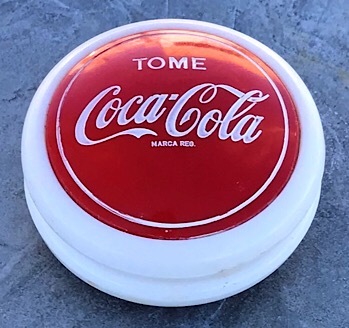 The Russell Yo-Yo Company was known for soft drink promotions around the world, usually for Coca Cola products. Most often these promotions were not in the USA, and most Russells seem to come from South America and Asia. And there were so many promotions. The shear number of countries, promotions, logos and body types make collecting Russell yo-yos challenging.